If you are dealing with a missing tooth problem, it can become a bigger problem down the road. What makes it such a problematic situation? You see, when you have missing teeth, it can make your jaw sink, cause many oral problems and can be unsightly. For most patients, hiding their smile is an everyday occurrence. A smile is something to be proud of and not actively avoided. We understand that there are some things about your smile that you wish were better, but that’s why our restorative dentistry services exist. We’re happy to help Mount Pleasant, TX residents and their families with any problems, especially missing teeth. Our office specializes in offering restorative dentistry services that include dental implants. 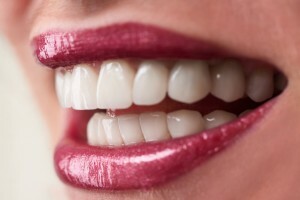 Dental implants are the best way to permanently fill in the space left over by a missing tooth. Dental implants work just like your real teeth when properly placed and can bring much-needed comfort back to your dental health. Missing teeth can not only be rough to look at, but can leave your mouth’s functionality at risk. Think about menial tasks like eating – it’s jeopardized whenever teeth are missing. Dr. Sikes is the cosmetic dentist you and your family can trust to solve a missing-teeth problem. Having one or more missing teeth can make a huge impact on your daily life. Even eating can become a chore. You aren’t able to enjoy your favorite foods like you once did, and that’s a big problem. We want you out there enjoying life without having to worry about dealing with missing teeth. Like we alluded to before, it isn’t just an unsightly look that you have to be subjected to – all aspects of your life are changed when dealing with missing teeth. Those open spaces can invite harmful bacteria to convene and reproduce. Unfortunately, not all patients are eligible to receive dental implants. There are a lot of variables to consider. The only way to determine whether or not you’re a candidate is by speaking with Dr. Sikes during a one-on-one consultation. He will thoroughly inspect your mouth and customize a treatment plan that may or may not include dental implants. If you’re ready to stop living life with missing teeth and want to find long-lasting comfort, look no further than our dental implant treatment. Dr. Sikes and the rest of our dental team want to help you achieve the best oral health of your life. By replacing missing teeth, you’re already doing yourself a huge favor and maintaining excellent oral health. Dr. Sikes is the dental implant dentist you need to see.